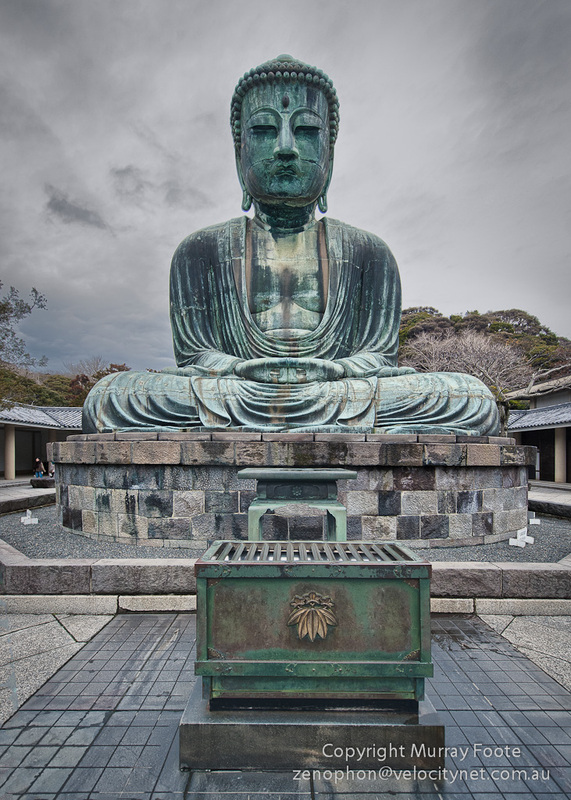 The Diabutsu or Giant Buddha of Kamakura is over thirteen metres tall, weighs 93 tonnes and was cast in bronze in 1252. It is located inside the Kotokuin Temple, which belongs to the Jodo or Pure Land sect of Buddhism. It was originally inside a hall but this was damaged by storms in 1334 and 1369 and then swept away by a tsunami in 1498. Its hands form a gesture of meditation called dhyani mudra and the form of the clothing is said to reflect Western classical influence originating from Alexander the Great’s colony in what is now Afghanistan. It is hollow and it is possible to climb inside and look out of a view at the back but we were too late in the afternoon for that. The Heian Period, 715-1185, saw control of much of Japan by a tiny literate aristocratic elite who lived in Kyoto. They owned large shoen estates and appointed close family members to administer them. The end of this period was due to the rise of regional warlords who were much less closely related to an Emperor. Soldiers were taking over from the aristocrats. The beginning of the Kamakura period followed the eclipse of the Fujiwara clan and a conflict between the Taira and the Minamoto clans. In 1159, the Taira killed Minamoto Yoshitomo and appeared to have wiped out the Minamoto clan. However, they did not kill his son Minamoto Yoritomo, who completely defeated the Taira in 1185 and established a military government in Kamakura. Success did not last for the Minamoto clan, though. Yoritomo had married a Hojo, related to the Taira, and after he died in 1199 the Hojo took control and his sons were assassinated. The administration in Kamakura was known as the tent bakafu or tent government. There was no attempt to build grand buildings for government so the remarkable old buildings in Kamakura today are religious ones. The Emperor remained in Kyoto while the Shogun and (after Yoritomo) the Regents exercised effective power in Kamakura. 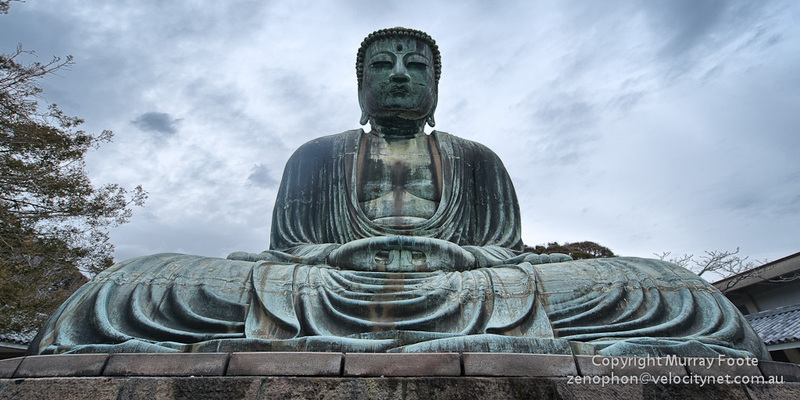 The Kamakura era came to an end following the successful repulsion of the Mongol invasion. Resources were strained and leading daimyo felt insufficiently rewarded. A successful rebellion led to a return to Kyoto and the Warring States Period. 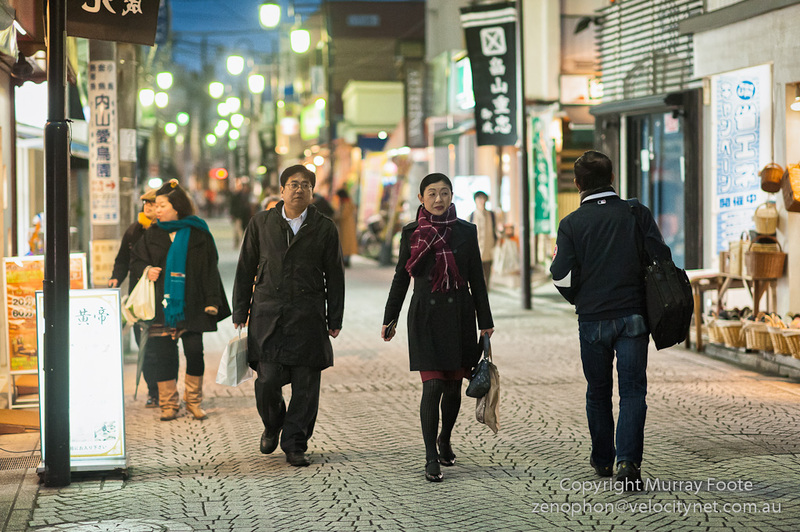 This final image is from the streets of Kamakura, as we were wandering around looking for a likely place to eat.